In June 2016, after years of discussions, the federal government reached an agreement in principle with provincial and territorial finance ministers to strengthen the Canada Pension Plan (CPP). For those tasked with implementing the CPP enhancement on behalf of their employers — including those in payroll, human resources and accounting — regulatory and administrative compliance will require careful consideration. Beyond that, these professionals will need to be able to clearly explain and communicate changes and challenges of the CPP enhancement to both employers and employees. The agreement in principle enabled federal Finance Minister Bill Morneau to table legislation in Parliament. Bill C-26, An Act to amend the Canada Pension Plan, the Canada Pension Plan Investment Board Act and the Income Tax Act, which received royal assent on Dec. 15, 2016, will officially usher in changes to the CPP. • provide a tax deduction, instead of a tax credit, for employee contributions associated with the enhanced portion of CPP. It is important to note that while the current CPP employee contributions of 4.95 per cent of pensionable earnings will remain as a tax credit, the increased CPP employee contributions will represent a tax deduction. Employers will not be responsible for programming this distinction within their payroll systems for the phase one CPP enhancements effective 2019 to 2023. Employees will be entitled to a tax deduction when filing their T1 personal income tax and benefit return for the enhanced portion of CPP contributions. The Canadian Payroll Association (CPA) has also confirmed that the T4 slip will remain the same, with the enhanced portion of CPP contributions included in the existing CPP boxes. The federal government is still working on proposed regulations and administration for phase two of the CPP enhancements that come into effect beginning 2024. In November 2017, Quebec Finance Minister Carlos Leitão introduced Bill 149, An Act to enhance the Quebec Pension Plan and amend various retirement-related legislative provisions. 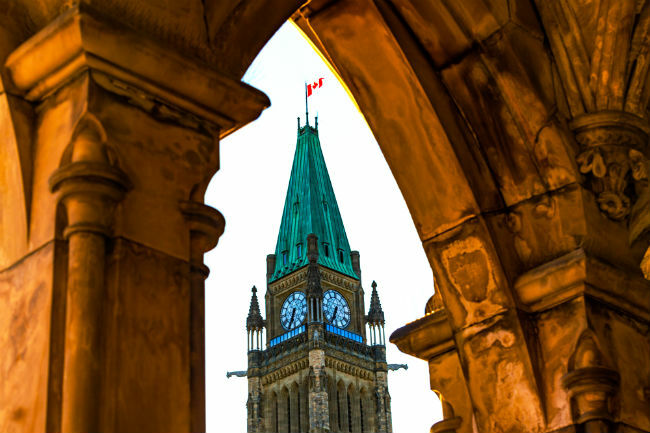 The bill looked to harmonize enhancements to the Quebec Pension Plan (QPP) with CPP amendments by amending the Act respecting the Quebec Pension Plan, and introduces an additional plan. The changes are intended to mirror the CPP enhancements, with additional employee and employer contributions starting in 2019. The rate will increase progressively until it reaches two per cent per year (meaning one per cent per employee and one per cent employer contributions). This will still provide for a differential between CPP and QPP rates. There are a number of points to consider around sponsor retirement plans — such as defined benefit, defined contribution or other capital accumulation plans such as group RRSPs. The total employee and employer CPP/QPP contribution increase will be gradually phased in over a seven-year period. The increased mandatory contributions for employers may be significant, depending on the size of their payroll and if they are already sponsoring retirement savings programs. Employers will need to re-assess their current retirement and benefit offerings for practicality and financial preparedness. Additional employer contributions could impact the kinds of employer-sponsor programs provided to employees. There is a possibility that employers could scale back some retirement programs to recoup the costs of additional CPP/QPP contributions. Collective agreements and registered pension plans should be reviewed, especially for language around retirement and savings programs that are integrated with the CPP/QPP. Employers should anticipate that such changes may affect policies, staff responsibilities, and remuneration planning. They will also have to ensure compliance within payroll systems, HR policies, employee handbooks, and pension documents. For those with payroll oversight, be mindful that CPP/QPP enhancement will require mandatory, ongoing payroll system changes in the coming years. Implementation should be planned and discussed well in advance of the actual deadline dates. While the proposed gradual phase-in will provide additional time for organizations to assess the full financial impact, it’s recommended employers begin any program adjustments a minimum of 18 months in advance. That means that if an organization has not already begun preparations, it needs to begin immediately. In fact, it may have to expedite the planning depending on the complexity of employee scenarios (for example, employees transferring between jurisdictions including Quebec). Payroll professionals are the best people in an organization to work through such employment scenarios in advance of implementation. Finally, employers should ensure that ongoing employee communications address retirement questions that staff may have regarding these CPP/QPP changes. When making any changes to employee benefits offerings, organizations should provide clear communication to everyone affected and be available to answer queries. Payroll and HR should draft fact sheets including typical questions and answers they anticipate arising from the CPP/QPP changes. They may also want to consider holding some sort of information session to help employees with any ongoing questions they may have. Employees will want to know how the changes will impact them, their pay, pay statements, tax returns, and their retirement savings. Make sure to have payroll or HR available to employees on an ongoing basis to help them understand any potential changes. Ultimately, careful planning and ongoing education will be crucial for both employees and employers in the wake of CPP/QPP enhancements. Start planning now and engage the resources required to ensure these mandatory changes are well-planned and implemented for employees. Rachel De Grâce is director of advocacy and legislative content at the Canadian Payroll Association in Toronto. For more information, visit www.payroll.ca.